Q-Ctrl, Australia’s “first quantum tech start-up”, has secured the backing of three major global venture capital funds to complete its seed round initiated last year. Sequoia China, the Asia arm of the Silicon Valley based Sequoia Capital which backed Google, Instagram and PayPal; DCVC (also known as Data Collective) which previously invested in the likes of Square, Facebook and Verisign, and quantum computing hardware manufacturer, Rigetti; and Hong Kong-based Horizons Ventures, the technology investment vehicle of Li Ka Shing which has previously funded Spotify, Skype and Facebook at an early stage; have each invested an undisclosed amount in the start-up founded by the University of Sydney’s Professor Michael Biercuk. Sequoia China and DCVC added a “substantial contribution” to Q-CTRL’s seed investment, with initial backer Horizons Ventures providing a “top-up”. “This is a very exciting investment from some of the world’s most experienced and knowledgeable venture capitalists,” said Biercuk Q-Ctrl’s CEO, and head of University of Sydney’s Quantum Control Laboratory. “Looking back at how the Wright brothers transformed aviation, we know that control has helped build an industry before. Q-Ctrl will do the same for quantum technology," Biercuk added. "We are growing rapidly and closing this seed round with such a powerful team is an enormous vote of confidence in what we’ve built and the potential for Australian companies to operate globally." Q-Ctrl was launched in November backed by capital from the CSIRO Innovation Fund managed by Main Sequence Ventures and Horizons Ventures. It is the first spin-off company of the Australia Research Council Centre of Excellence for Engineered Quantum Systems (EQuS). Its core product – named Black Opal – is described as a hardware-agnostic platform that works on quantum computer bits, or qubits, to reduce decoherence and errors at the physical layer. Quantum systems are highly susceptible to decoherence, but Q-Ctrl’s suite of controls can stabilise the fragile systems, and “effectively turn back the clock” on decoherence. “So all the randomisation that occurs, unwinds; it’s like unmixing the soup,” Biercuk told Computerworld in November. Q-Ctrl employs 15 people and is based at the Sydney Nanoscience Hub at the University of Sydney. In April, the company was given cloud-based access to IBM’s quantum computers, as one of only eight start-ups globally to be invited to join Big Blue’s ‘Q Network’. As a member of the network, Q-Ctrl is able to run experiments on IBM’s 20 qubit quantum computer and collaborate with IBM researchers. “Our mission is to invest in companies that can change the world. Q-Ctrl and its founder Michael Biercuk are a perfect fit for that mission and we are excited to become partners to help Q-Ctrl grow,” said Steven Ji, partner at Sequoia China. DCVC partner James Hardiman said the start-up’s work was very impressive. 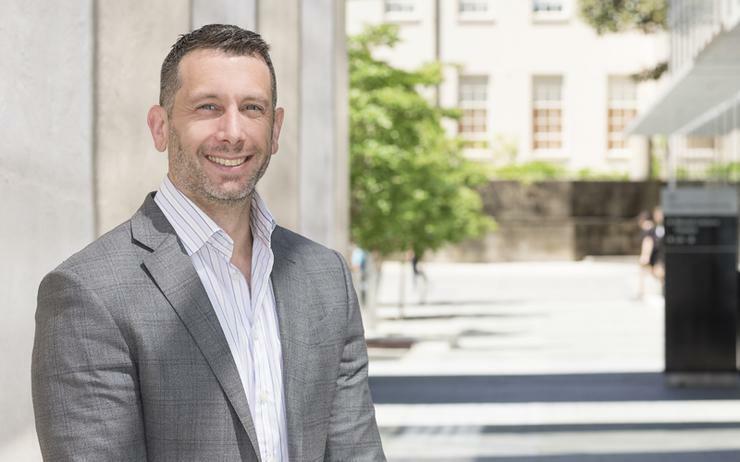 “We appreciate that the US is not the only wellspring of deep-tech innovation and were incredibly impressed by what Professor Biercuk and the Q-Ctrl team had built and demonstrated," he said. "Coherence time is a bottle neck in quantum computing and their application of cutting-edge research to address an imminent commercial problem is exactly the kind of company we back at DCVC."